Alpha Conference 2014 - watch the presentations yourself! 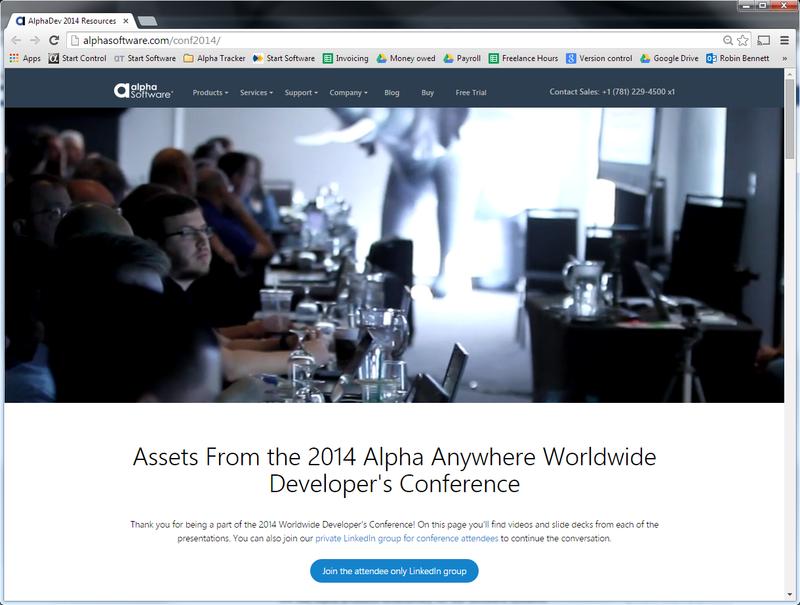 Dan & I attended the Alpha Software worldwide developer conference in Boston earlier this month. We're delighted to announce the release of Mobile Data 7.3.1 from our partners CreativityCorp. For all our asbestos surveyors using Tracker Mobile this will make life easier in a number of ways. Not least because future updates (even to Android smartphones and tablets) can now be sent through automatically. Thanks Neil and team at CreativityCorp for this important update. Just a few weeks after our 1,000th quality-checked software change, another landmark for Start Software has arrived - our 20,000th customer call logged. We started logging calls back in December 2003 when we received 13 customer calls during the month asking for help or reporting a bug. We've got a bit busier since then with 500 calls logged and responded to last month alone! In those 10 years we've stuck to a guiding principle that you - our customer - should decide the time-scale in which you need an answer and we should judge our performance on that basis and not on an arbitrary set of priorities which mean nothing to you. On that basis, we regular answer 90% of calls in time or ahead of schedule and that's a statistic we're really proud of. If you would like to discuss any aspect of our support service, please contact Elaine our Support Director via 0845 612 2402. Tracker Upload Manager, the Tracker & Alpha Tracker component that handles the processing of data from asbestos surveyors and other field staff, has been updated to v1.0.161 SVN32 and is available for immediate download. This version has improved photo processing features and performs better for consultancies with 100+ asbestos surveyors. Please do contact the office for more information or if you need help installing the update. September 2014's monthly update to Alpha Tracker is now publicly available. This is update SVN730. The September update has nearly 40 improvements and 11 bug fixes to the software since the August update. The video above runs through 10 of the key new features including unlimited drag & drop file uploads which should please all admin staff! AlphaValidator v1.0.39 SVN19 is now available for download from http://www.start-software.com/tracker/modules/alphavalidator/. AlphaValidator is the latest Tracker and Alpha Tracker module with facilities to automatically check data sent in by asbestos surveyors and other field staff; check data pre-report generation and check financial information before invoices are raised. The latest version, v1.0.36 SVN19, has improved the checking of data pre-invoicing. This is a minor update and is not needed unless you are having problems with alert emails not being delivered. Tracker Dashboard v1.0.246 SVN51 has improved processing of "blind copies" (BCC) email recipients to suit more mail servers. Dan & I have been attending the Alpha Software conference in Boston all week (https://twitter.com/hashtag/alphadev) to learn about the new features coming into their products and how they will help Start Software to build better, faster, more flexible software for our customers. We use Alpha products extensively for our software systems (including Alpha Tracker) and we are Alpha's UK professional partners. Using Alpha as a development framework means that we can build software systems quickly and for a wide variety of devices including web browsers on PCs and laptops, iPads, Android tablets, smartphones and even smart cameras. It's been a great week - we've learned a lot, we've met other Alpha developers and potential partners from all around the world, and we've got to meet the Alpha staff who we deal with by Skype every day of the week. On a personal note, I've also got to meet one of my professional heroes - Dan Bricklin - known as the father of the spreadsheet. Congratulations to the support team - our call stats this month are really first class. This month more than 95% of the 162 high priority support calls received were resolved in the time frame requested by our clients - that's our best performance for a year. Overall, 448 out of 478 problems and questions logged by the support desk were resolved on time - that's quite a feat! 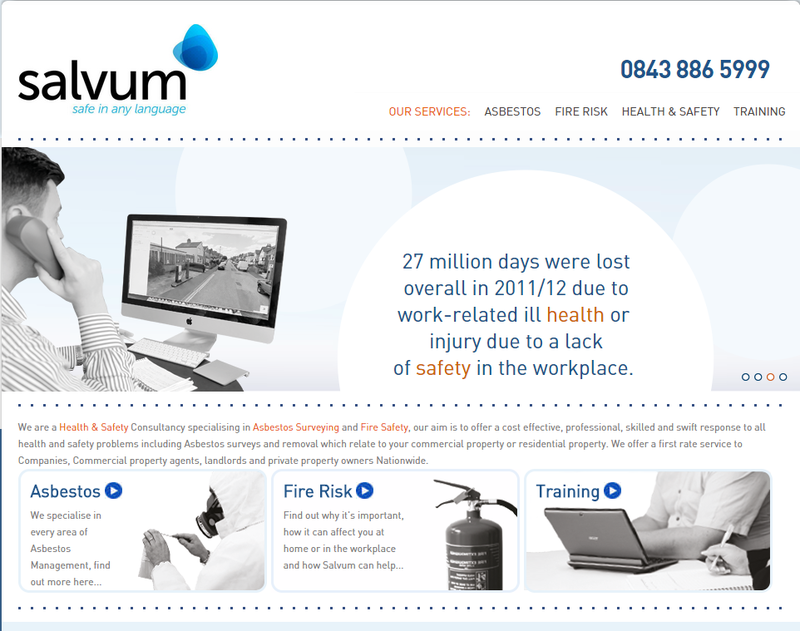 Salvum are a heath & safety consultancy specialising in asbestos surveying and fire safety. 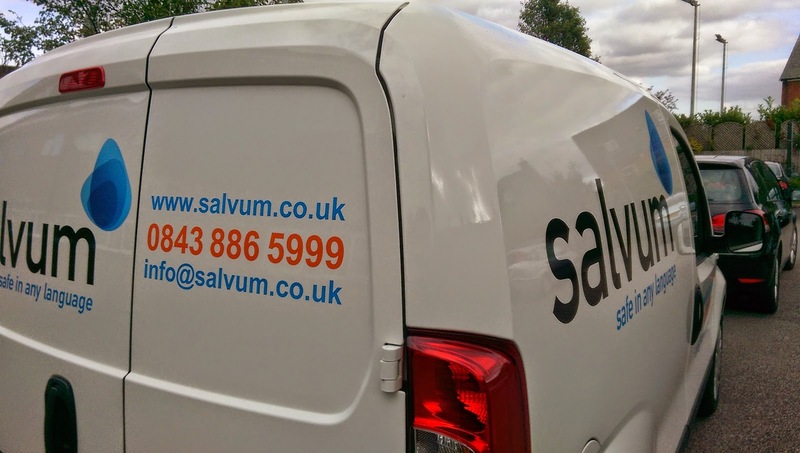 "Salvum" is the latin for "safe" and that is the consultancy's number 1 priority - through their professional delivery of asbestos and other health & safety services they strive to ensure the safest of environments for their clients. 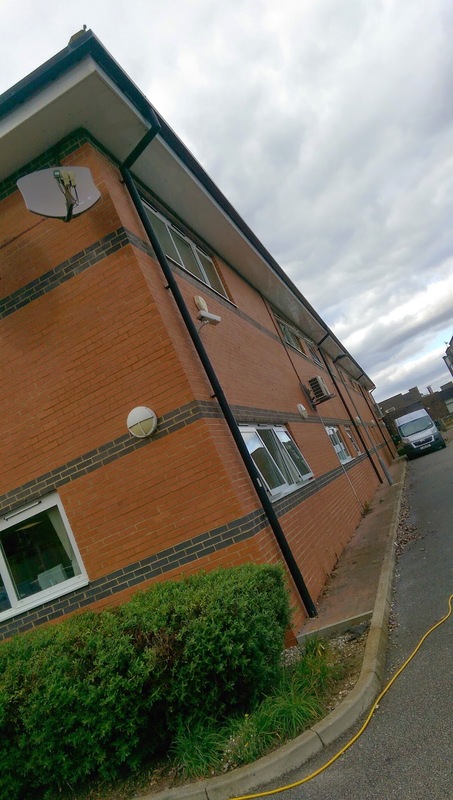 From their offices in Essex, Salvum offer first-rate asbestos and other health & safety services to companies, commercial property agents, landlords and private property owners nationwide. Salvum are the latest asbestos consultancy to choose Alpha Tracker to automate their asbestos surveying operation. Salvum's surveyors and admin staff received their training this week and will soon be enjoying live survey data upload from site and admin-free asbestos survey report production. This is a minor update to Tracker Web Server, our complete compliance management tool for asbestos and environmental consultancies running the Tracker system. This latest release, available from http://start-software.com/tracker/modules/tracker-web-server/ has improved performance and document download features. For more information or if you need help to install the update, please contact the office.